Make music with our outdoor instruments at the treehouse, sing with your group on a music deck, create or practice a dance move at the gazebo, make it up or act it out on a stage… it is all happening at our performing arts center. 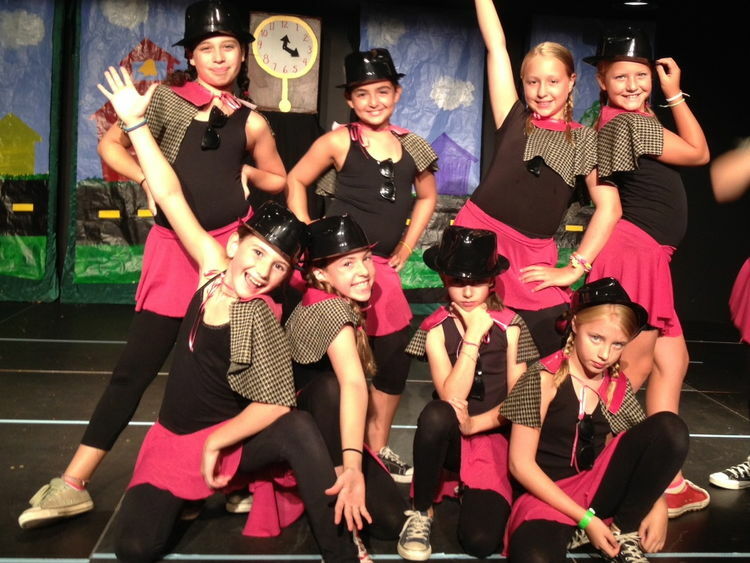 Our staff love to perform and applaud the efforts of our campers. They are teachers, musicians, singers, actors, dancers: performers all. Our talented ensemble lead activities in drama, dance, music, puppetry and storytelling. Their enthusiasm for their craft and for being with children creates an atmosphere where each camper is comfortable trying something out or sharing a talent.